Wasps have long been looking for a permanent home, and owners will be hoping that moving the club to the Ricoh Arena in Coventry will provide much-needed stability for the club, who previously played at Adams Park and Loftus Road. The side, which has shared a ground with Wycombe Wanderers FC since 2002, have been subject to well-documented financial troubles for a number of years, which came to a head two season ago when they narrowly avoided going into administration. A consortium took over ownership in 2012, led by Ken Moss, and then in 2013 Irish businessman Derek Richardson became the majority shareholder, and the ambition to move to their own ground has been in the forefront of their minds. 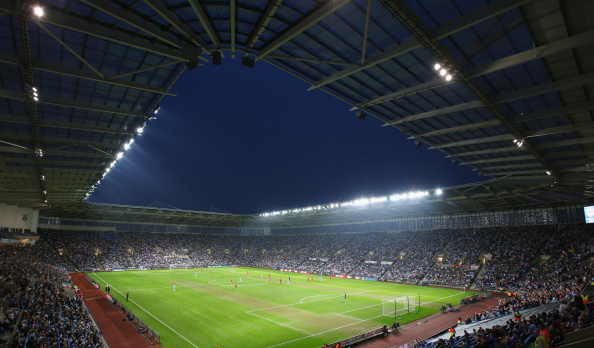 Rumours of a ground share with Brentford RFC in west London, where Wasps originally laid their roots before the move to High Wycombe, surfaced last season, but instead Wasps announced the acquisition of a 50% share in in the Ricoh Arena in Coventry. The club will play their first home game there in December, against Castres or London Irish (TBC). Coventry is 83 miles from Adams Park, Wasps’ current ground, and there has been an angry backlash from the fans. Some have told RW they intend to cancel their season tickets, and there’s even been a petition started to keep the club in London. With gates of around 5,500 to 6,500 this season, the club’s priority will be expanding their fan base. 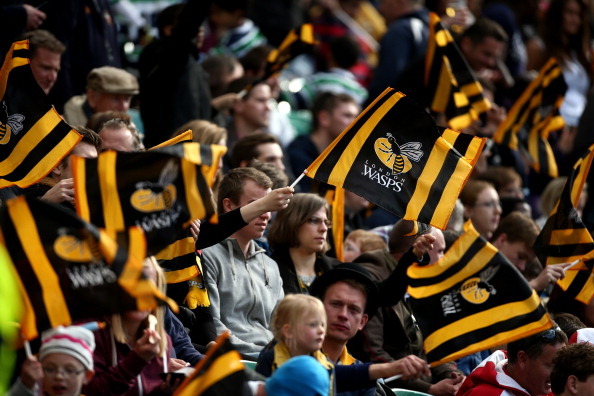 Furthermore, Wasps are now moving to the rugby hotbed of the midlands, and will be competing with Premiership giants Northampton and Leicester, as well as the Championship’s Worcester and National 1’s Coventry RFC for bums on seats. Furthermore, with the Ricoh Arena being in Worcester’s catchment area, the recruitment of players could become problematic for both clubs. Click here to find out what Simon Shaw has to say about Wasps’ move to Coventry. how ever upset or angry I am at #Wasps move to the Midlands – it's very good business and shows the club is going in the right direction. I cannot believe what I am reading about @WaspsRugby – what an utterly heartless decision. No consideration of the fans or heritage. Excited about Wasps moving now. Business wise it is what we need. AP not sustainable. Feel sorry for fans that are pushed out but it's life. Wasps move to Cov is crazy. Midlands already a hotbed of top rugby clubs absorbing any potential fanbase. Who the hell will go watch them?! Suppose London welsh will be in the double header next year . Goodbye wasps ! Want to keep up to date with all the latest news & views? Why not subscribe to RW? Click here for the latest deals and discounts.